The Ghana Revenue Authority, GRA has been tasked to grow the contribution of tax revenue to the national economy from the 13.1 per cent that was realized in 2018 to 15 per cent this year. Ghana’s tax to GDP ratio is currently far below the average of 20 percent for lower middle-income economies. Customs revenue, which was also tipped to grow by 27.7 percent last year, only managed an “abysmal” 3.9 percent. “These figures tell us that we have the potential for growth. Government is challenging the GRA to hit a tax-to-GDP ratio of 15 percent, instead of the estimated 13.9 percent for 2019,” Finance Minister Ken Ofori-Atta said at the second national delegates congress of the GRA Workers’ Union (GRAWU) in Winneba. He said government’s Ghana Beyond Aid agenda is largely hinged on domestic revenue performance, and implored the tax collectors to be more responsive to their mandate of raising revenue for national development. “This is of great concern, especially as we have had to resort to borrowing, and in some instances cut expenditure to make up for these shortfalls,” Mr. Ofori-Atta said. 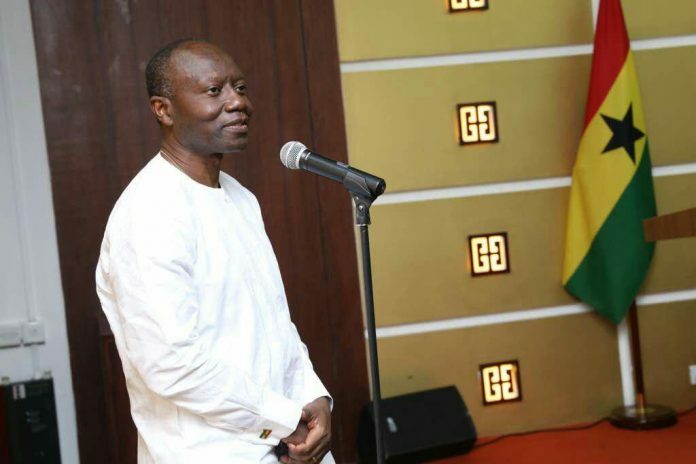 Ken Ofori-Atta implored staff of the GRA to both individually and collectively commit to plugging all revenue leakages to enable them generate sufficient funds to support government’s development agenda. Commissioner-General of the GRA, Emmanuel Kofi Nti on his part re-echoed the need for government to look within to address its socio-economic and revenue mobilisation challenges in view of dwindling foreign donor support. He therefore encouraged the workers to sustain sensitisation on the need for the public to honour their tax obligations and contribute their quota toward the national development agenda.